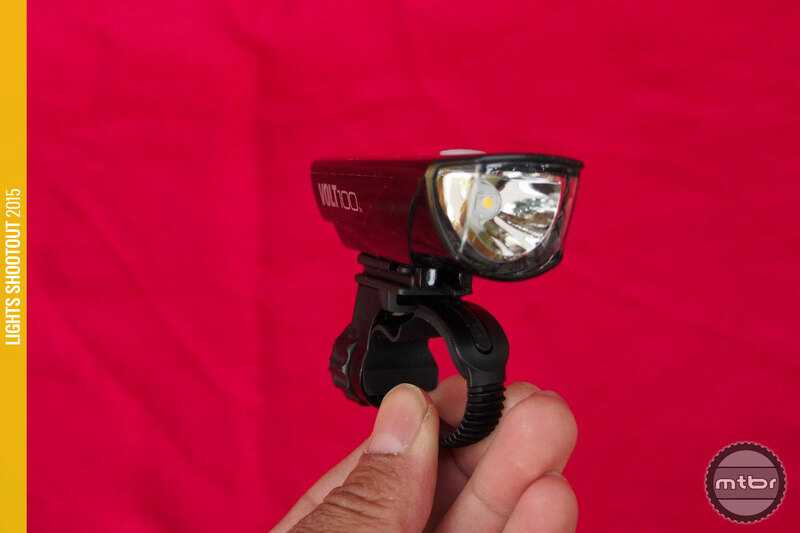 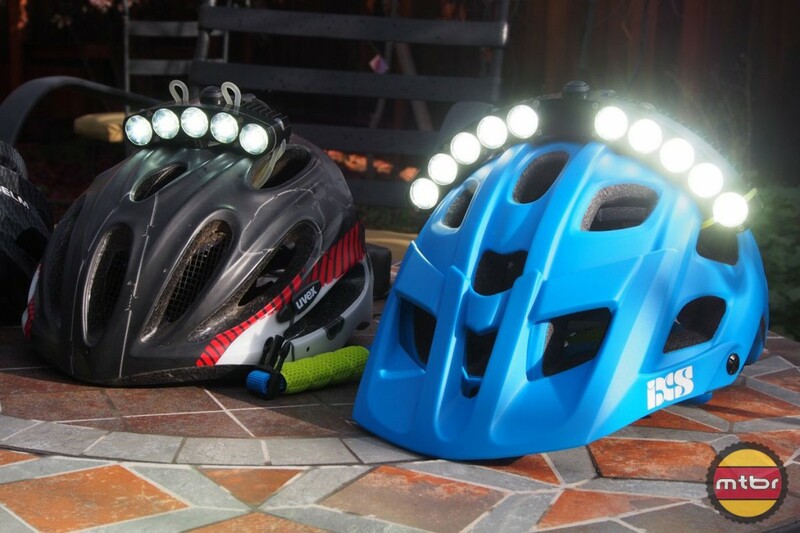 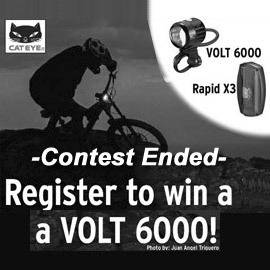 It’s a good helmet light, very similar to last year’s CatEye Volt 700. 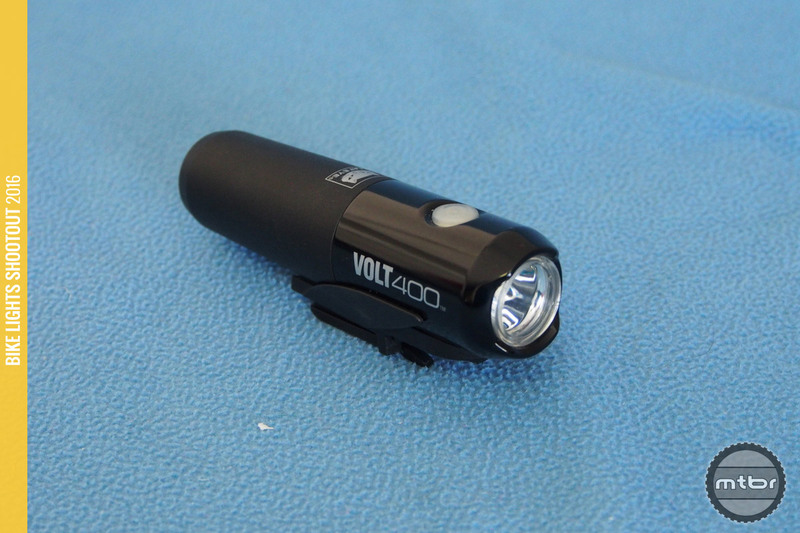 The Volt 1600 continues to be one of our favorites as the output bumps up to 1600 Lumens now. 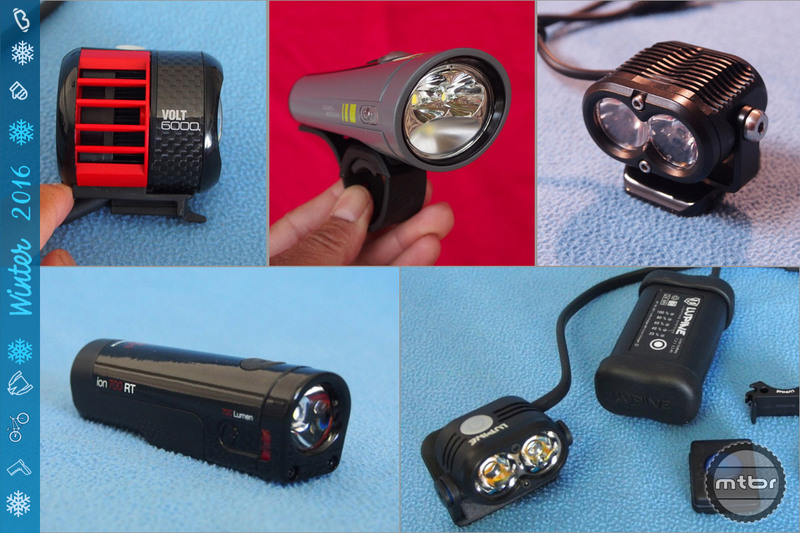 Chassis and mount are getting a bit dated now for this much light but this is still a self-contained powerhouse. 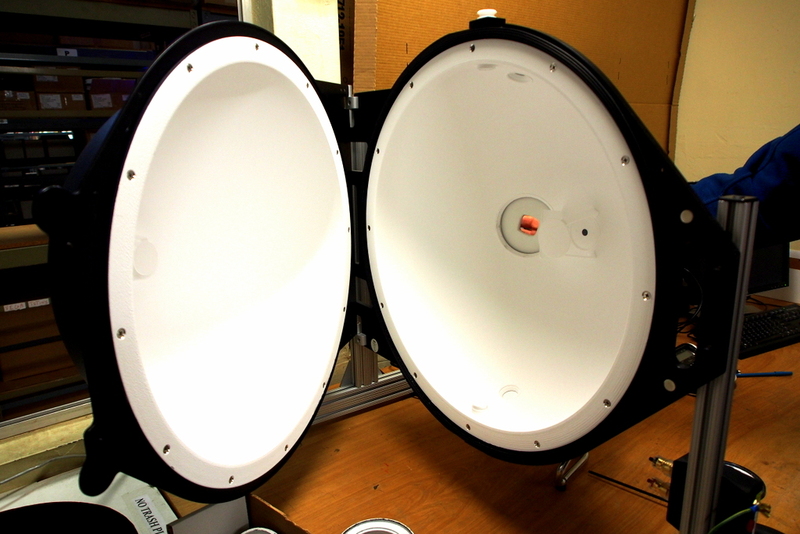 The brightest light we’ve ever tested also has the widest beam. 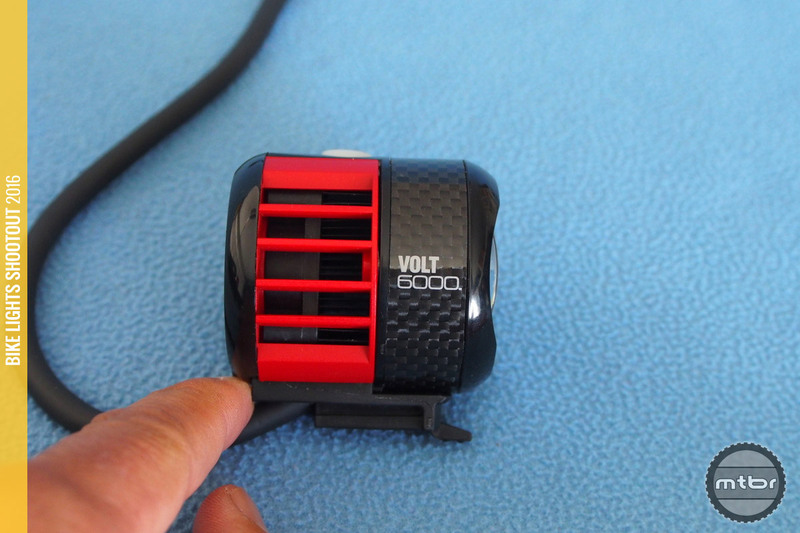 And it has a trick up its sleeve, an integrated cooling fan. 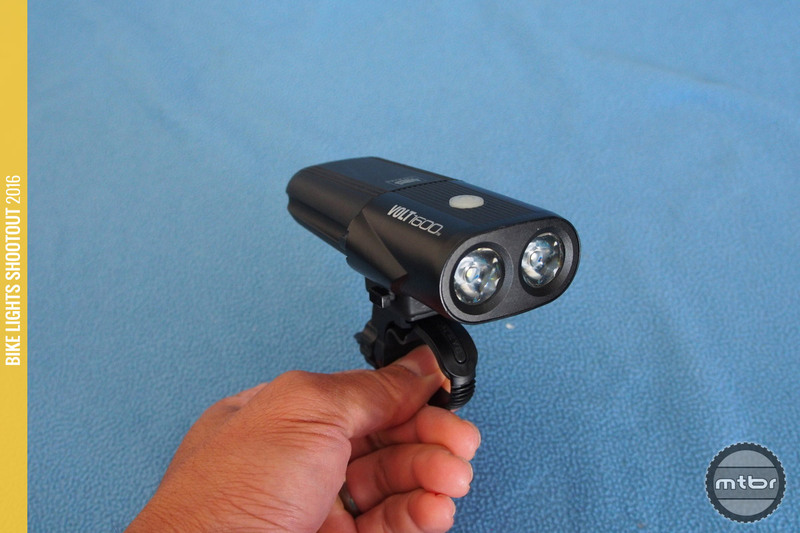 But is it flawed or perfect for trail use? 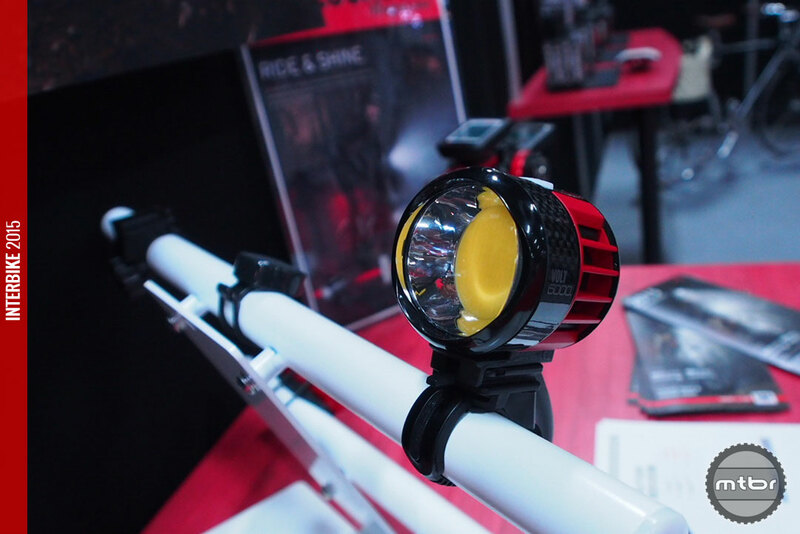 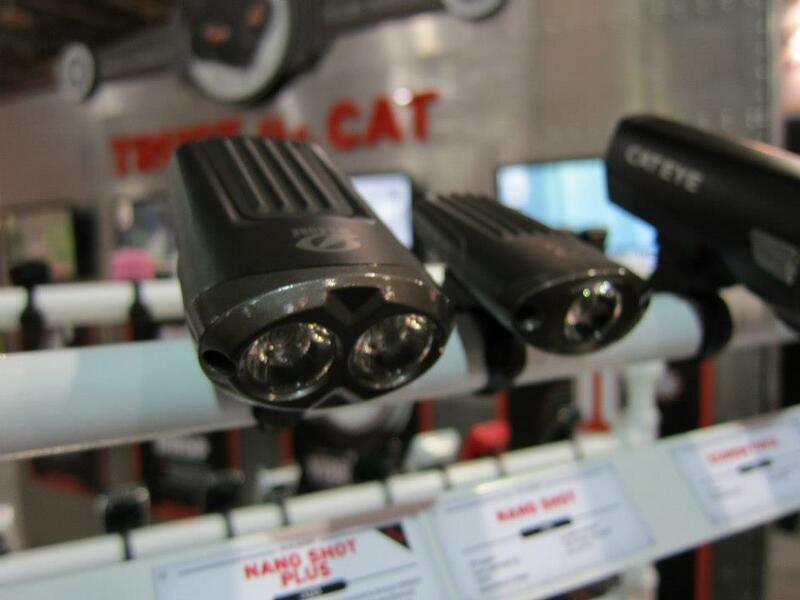 One of our Interbike highlights is this devastatingly bright light from CatEye, the Volt 6000. 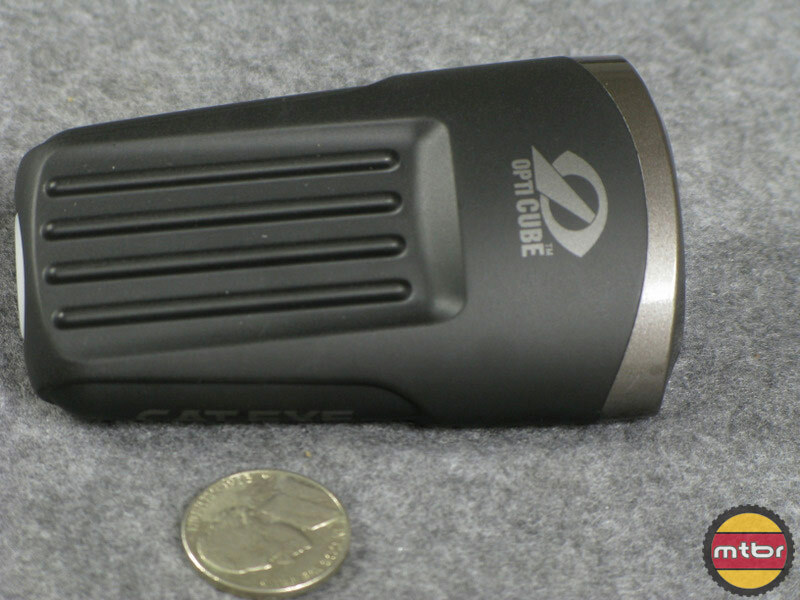 It also integrates an incredible cooling system. 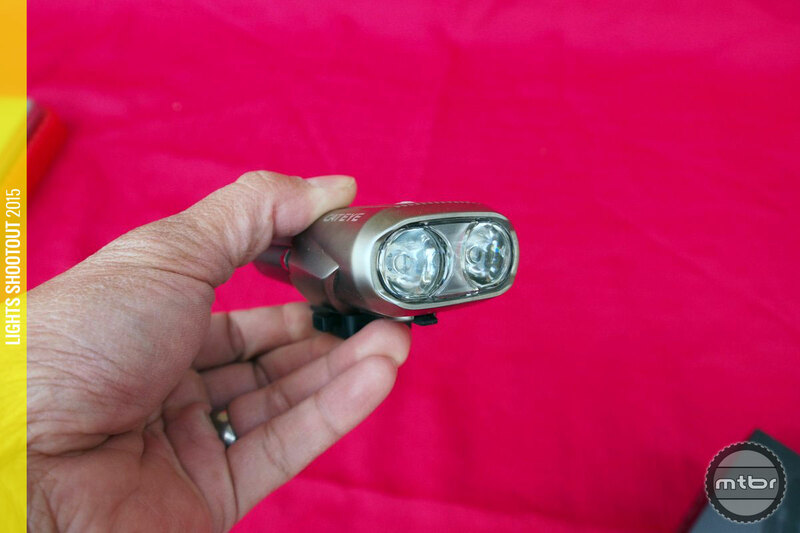 It’s a ‘to be seen’ light for $35. 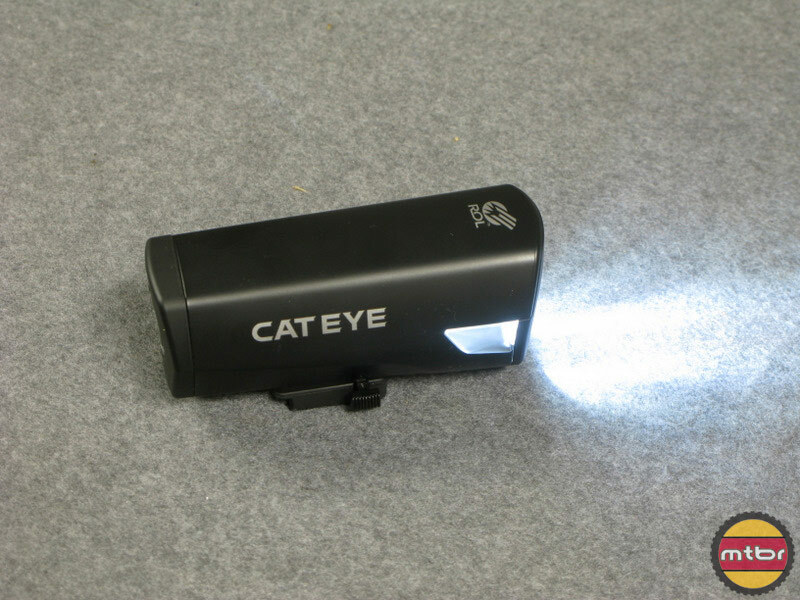 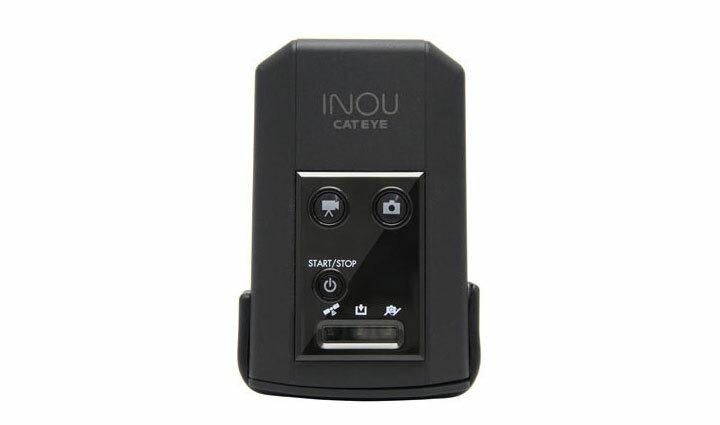 But since it’s a CatEye, it over delivers and you can actually see with it. 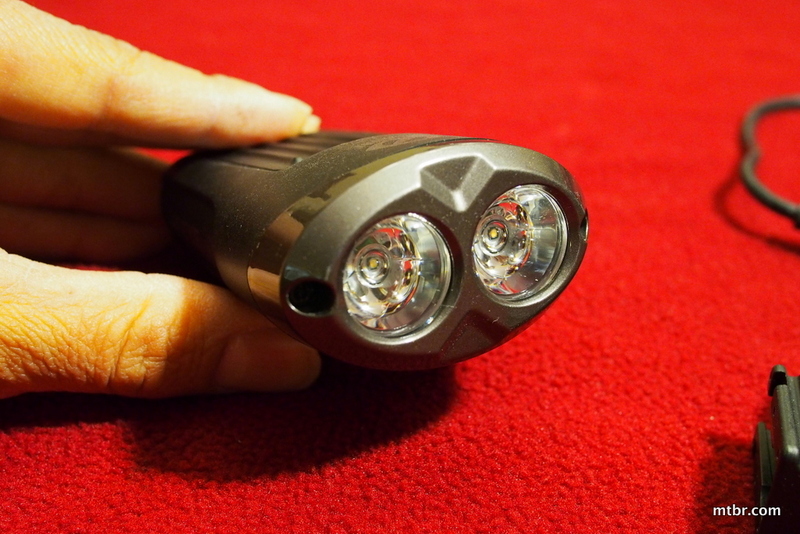 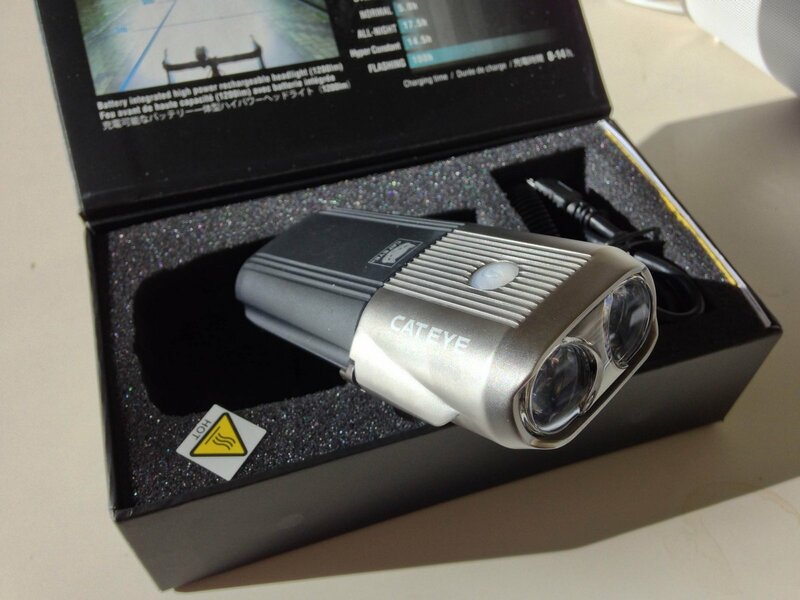 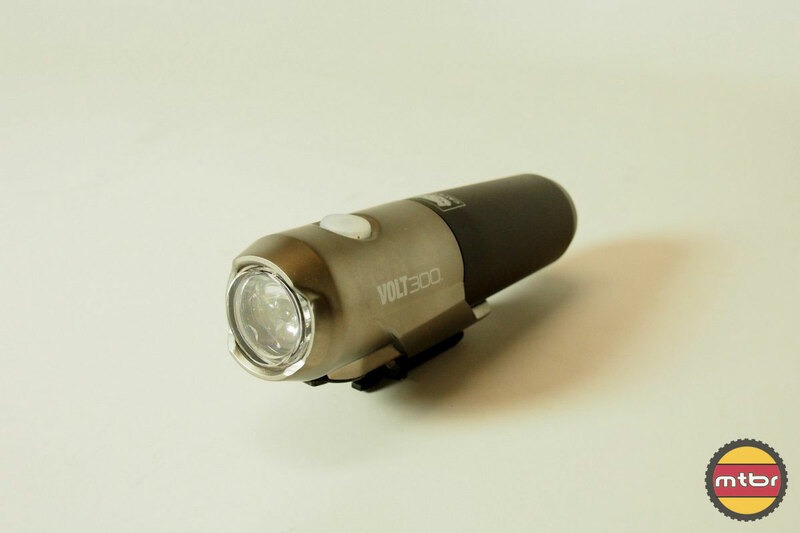 The CatEye Volt 1200 sports 1253 measured Lumens for $200. 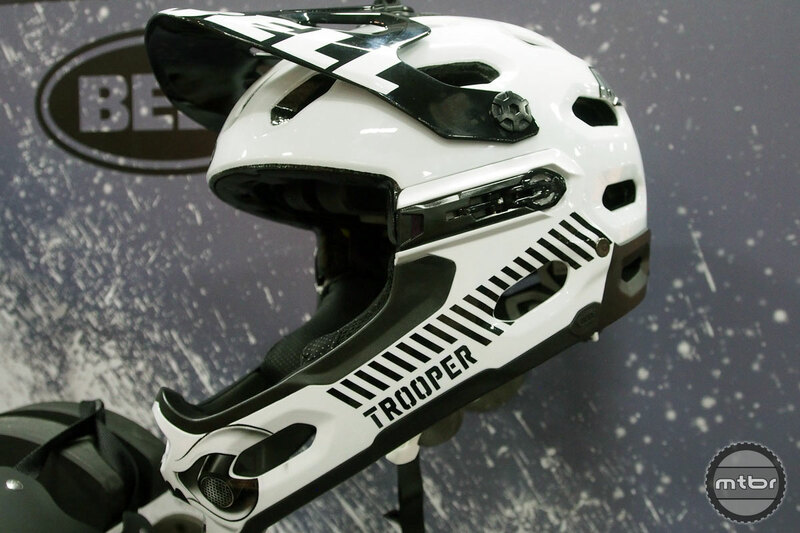 It’s a good choice if you’re not in a hot night riding area like Arizona. 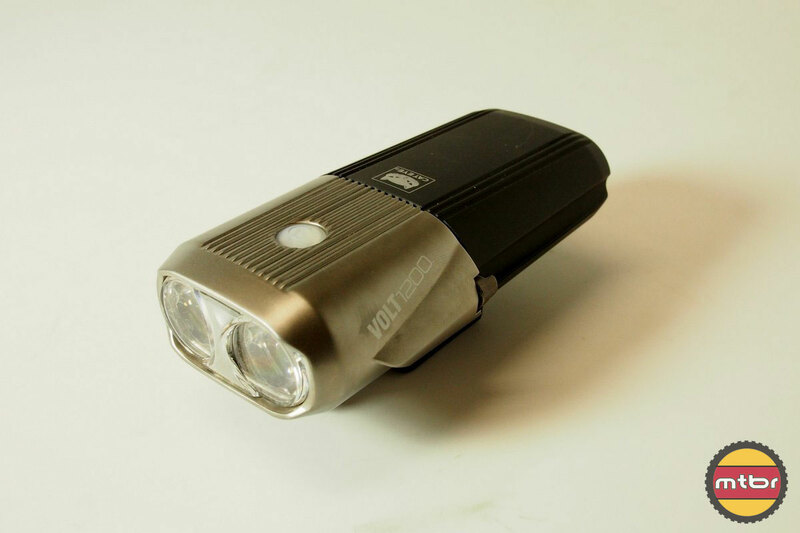 $120 with a measured 773 lumens, 2 hour run time is a winner. 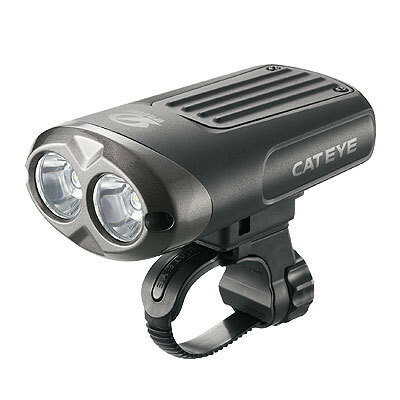 Plus it has Cateye quality. 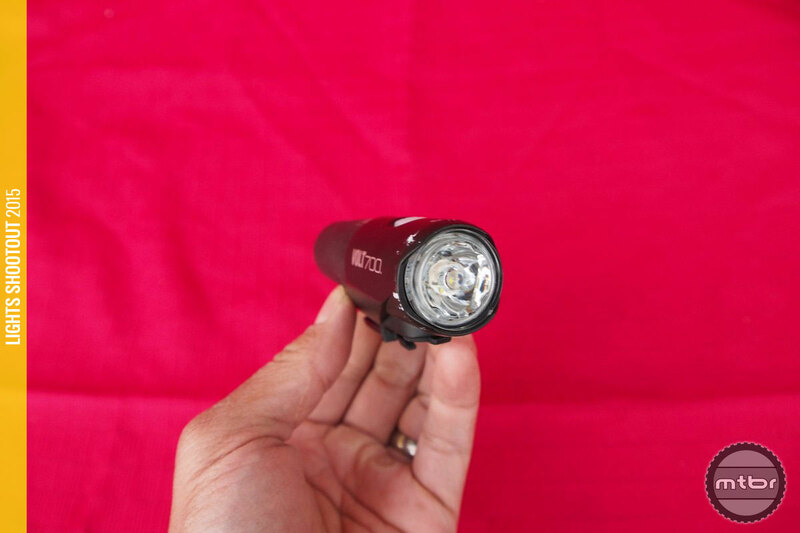 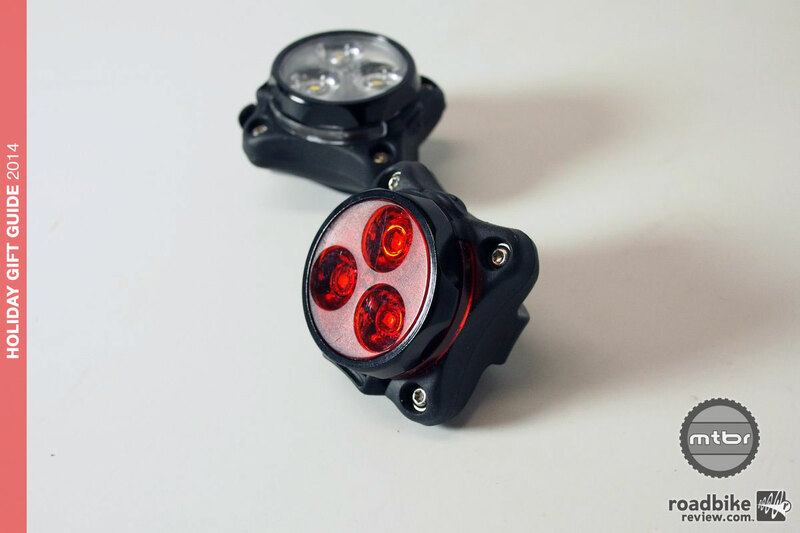 This light is definitely a winner with its price to performance ratio. 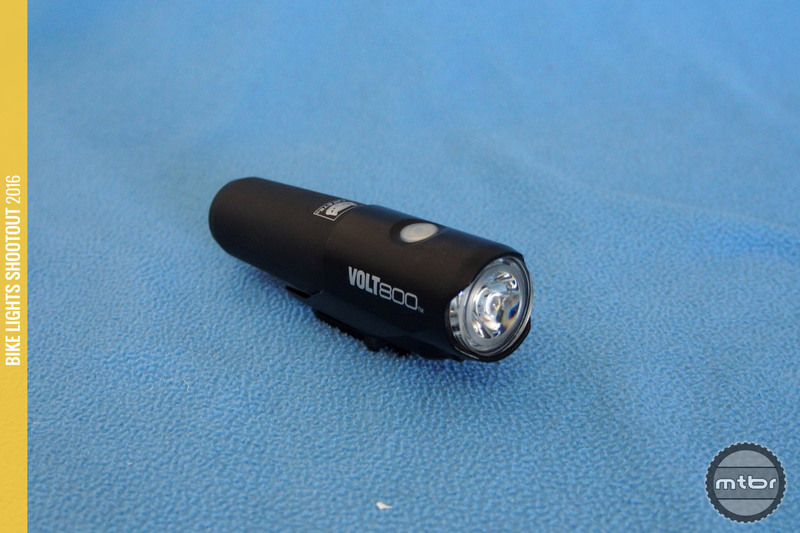 It is a potent little package that throws a lot of light.